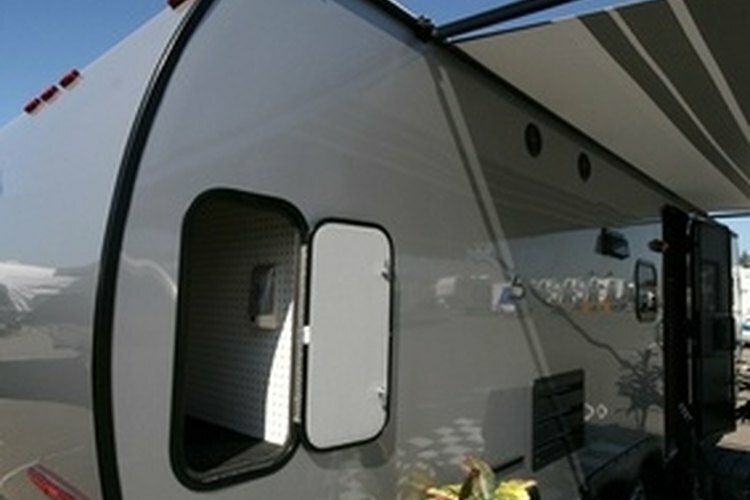 RVs provide a home away from home for campers. Whether you are visiting the Central Texas Airshow in Temple, exploring the Angelina National Forest in eastern Jasper or straddling the state line in northern Texarkana, you can find an Army Corps of Engineers park equipped with full services for RV camping. The Corps of Engineers operates dozens of RV campgrounds across the state of Texas, including lakefront camps that offer access to water sports. Cedar Ridge Park is nestled on the shore of Belton Lake in Temple, just over an hour north of Austin. The park offers a total of 68 campsites. RV campsites are back-in and feature a paved driveway with grassy lawn, 50-amp electrical service, water hookups, a picnic table and fire pit with barbecue grill. Campground services and amenities include restrooms and showers, sanitary dump station, guest laundry facility, a two-lane boat launch, fishing dock, full-service marina, sandy swimming beach, children's playground, basketball court, hiking trails and covered picnic areas. Cedar Ridge Park is pet-friendly and is open year-round. Reservations must be made at least two days in advance, with a two-day minimum stay on weekends. The closest restaurants are located about 15 minutes south of the park. Mill Creek Park is secluded within the Angelina National Forest in Jasper, about three hours northeast of downtown Houston. The park is on the southeast shore of Sam Rayburn Reservoir and offers 110 campsites suitable for RVs. Campsites are pull-through or back-in and feature a paved driveway with shaded lawn, 30-amp or 50-amp service, water hookups, a picnic table and fire pit. Services and amenities include restrooms, showers, two sanitary dump stations, boat launch ramp, fishing areas, a sandy swimming beach, children's playground, volleyball court, horseshoe pits, hiking trails and a covered pavilion. Mill Creek Park is pet-friendly and is open year-round. Although reservations can be made in advance, some campsites are designated as first come, first served. The campground has a two-day minimum stay on weekends. The closest restaurants are located about 25 minutes south of the park, in downtown Jasper. Clear Springs Campground is on the banks of the 30,000-acre Wright Patnam Lake in Texarkana, nearly three hours northeast of Dallas. The campground is in a pine forest overlooking the lake and offers 117 RV sites. Campsites are back-in and feature a paved driveway with grassy lawn, 30-amp or 50-amp service, water hookups, a picnic table and fire ring. Services and amenities include restrooms and showers, a sanitary dump station, two-lane boat ramp with courtesy dock, fishing and small game hunting areas, a sandy swimming beach, children's playground, basketball and volleyball courts, horseshoe pits, nature trails and a covered picnic area. Clear Springs Campground is pet-friendly and is open year-round. Reservations must be made at least two days in advance, with a two-day minimum stay on weekends. The closest restaurants are located about 20 minutes northeast of the campground, in downtown Texarkana.